A strikethrough is a horizontal line drawn through text, used to indicate the deletion of an error or the removal of text in a draft. If your work is edited or proofed professionally on paper, understanding common revision and editing symbols and abbreviations will help you process the suggested changes. Strikethroughs are used to recommend the deletion of material in traditional editing processes. In modern social-media contexts, a strikethrough that's shown is sometimes used ironically. In some technical contexts, the history of document changes, including struck passages, serves a valuable public purpose. 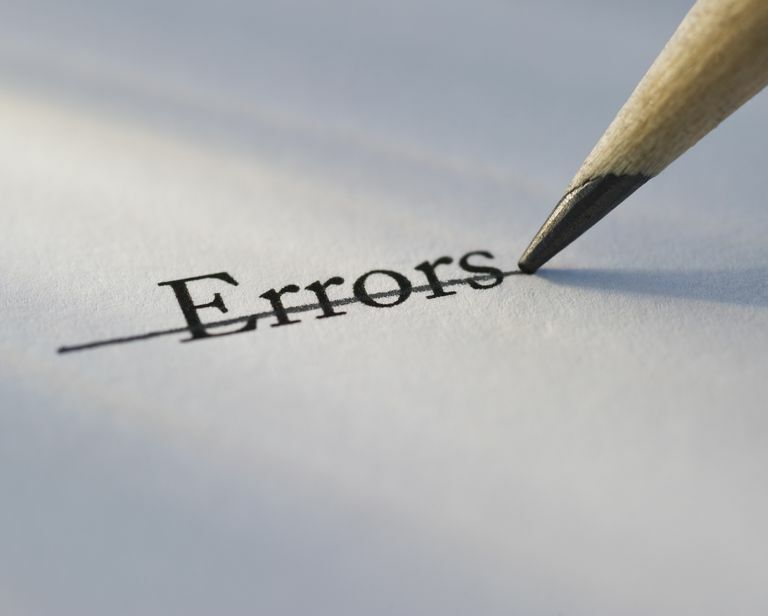 In document editing, both by hand and through computer-aided editing, a strikethrough conveys the editor's intent that the material in question ought to be deleted. A strikethrough is a basic copyediting symbol; in ink-on-paper proofreading, a strikethrough is accompanied by a loop at the end of the line to signify deletion. Editing using the track-changes feature in Microsoft Word, by contrast, indicates the deletion through the use of a red strikethrough. When you revise the document using Word's reviewing tools, you'll either accept or reject the proposed deletion. If you accept it, the struck text vanishes; if you reject it, the strikethrough vanishes and the text remains as-is. When you encounter strikethroughs in documents that display in black, it suggests that someone intends an edit but isn't using the Track Changes feature. Beyond the one-to-one document editing, the strikethrough can serve as a public record of changes, reflecting who made what revision at what time. The use of sophisticated version-control systems like Git, Subversion, or Mercurial allow people to change a document (usually with symbols that resemble a Track Changes project, including strikethroughs), but each change is captured with a "version" record that can be viewed over time. For example, Washington, D.C. publishes city laws using a service called Github. Anyone can view the district's complete set of regulations, including noting what changes were made at specific dates. One author proposed a minor typographic tweak to the district's online laws — a change that the D.C. legal administrator accepted. Not many municipalities, let alone other governmental agencies or public corporations, publish their official documents in this manner, but if more people did, it might enhance transparency and public engagement. Online communication sometimes uses these strikethroughs to communicate, usually with intended humorous irony, that the non-stricken language is "official" and the text with a strike-through represents the writer's genuine, unfiltered opinion. In this context, the strikethrough isn't actually a proofreading symbol, but rather a line through the text. In Microsoft Word or Microsoft Outlook, you can apply a strikethrough (or a double-strikethrough) effect on text without invoking any sort of editing tools. You can even color it red to mimic a track-changes edit. You'll see this alternative approach most often in blog postings and social media, where the implied snark is more accepted than it might be in formal business contexts. How Do You Edit an Essay?